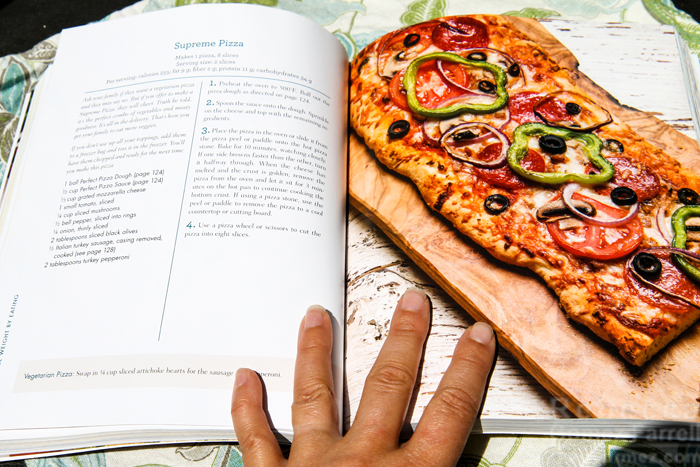 I have a pair of cookbook reviews coming your way this week! Of course, they’ll also end with a free recipe, so if you’re impatient for that part, scroll on down to the bottom. 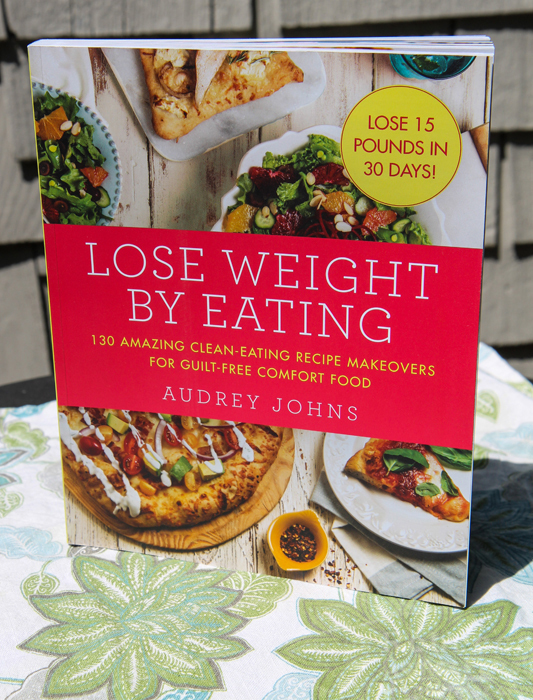 First up is Audrey Johns’ Lose Weight by Eating Cookbook. Obligatory disclaimer: I was provided with a copy of the cookbook for free for review. In fact, I was only expecting the Quick Six Fix, by Stuart O’Keefe, that I’ll be posting on later this week, so this one was a bonus cookbook surprise! Surely you noticed that “Lose 15 Pounds in 30 Days!” boast on the cover? That is quite the claim, and I am not weighing in on it because…I did not weigh-in at all as I had no desire to go on a diet by committing myself to only using this cookbook for a month. But I was perfectly willing to try a few of Johns’ comfort food recipes that purport to be guilt free but delicious. And they were! Some more delicious than others, but three out of four recipes I tried are worth making again. Plus, the caloric breakdown on each page is very helpful, regardless of if I was following her plan. The book opens with Johns’ dieting and cooking history, a familiar modern America tale of prepackaged diet foods that never bring results and a busy mom who didn’t know how to cook healthily. She began avoiding artificial sweeteners and preservatives and taught herself how to cook well. Within 11 months, she lost 150 pounds! That’s impressive, no matter how you slice it. Since then, Johns has maintained a popular website, competed on the Taste, and appeared on multiple shows including the Rachel Ray Show and the Doctors. The next section details her weight loss strategy and diagrams the perfect salad. Then come the recipes. I tested out comfort food items that I have a personal history with just to see how they’d stack up. These come in at only 118 calories per half potato, which is great, especially because they are so filling–two potato halves were plenty for me. 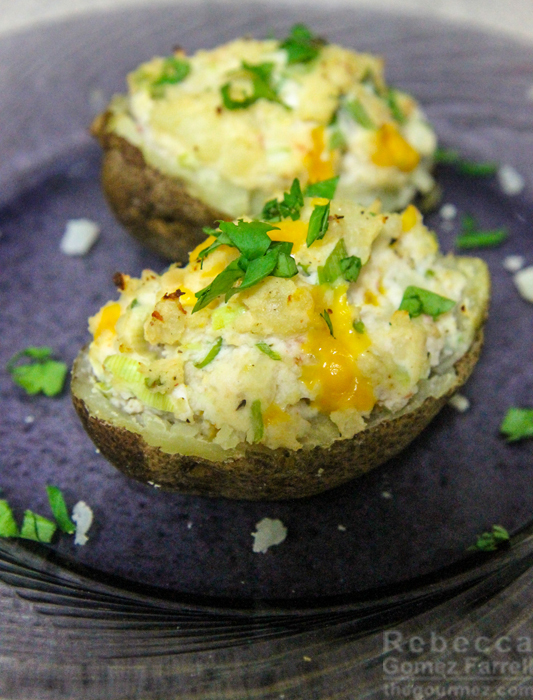 My mom set up baked potato bars for us often growing up, arraying bacon bits, tomatoes, cheese, sour cream, chives, and other items and leaving us to make our own creations–I loved those meals. For this version, Greek yogurt does the heavy lifting in terms of flavor, though salsa provides a nice kick. I added parsley for color. The recipe was easy to follow and make, though I broke two potato shells, but that was 100% user error. My only complaint is that it doesn’t make sense to season the filling ingredients before adding the potatoes’ innards, as the recipe instructs. Potatoes need a healthy dose of salt themselves, and how can you judge how much is good until they are mashed in with the rest of the filling ingredients? Wait to season until it’s all combined, and maybe also rub some salt on the potato skins before broiling them and you’ll have a tasty, simple meal. My feelings toward sloppy joes are more conflicted than they are toward twice-baked potatoes. Sometimes, I find them a tasty treat. Most of the time, I wonder why people want such a messy meal. So I decided on this recipe to see if it would change my mind. Good news! 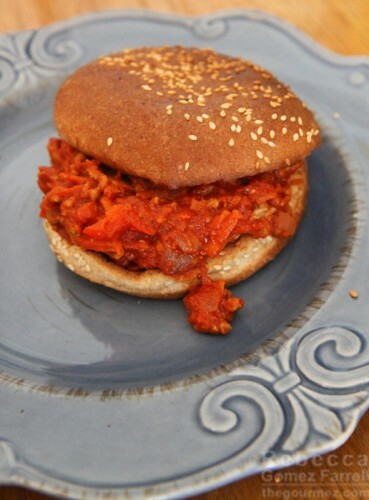 It’s much better than most sloppy joes I’ve had because it tastes much fresher with the addition of bell pepper and carrot into the patty mixture. The amount of spices called for was surprisingly spot on as well; I often find that recipes need more spices than they think they do, but not this one. 282 calories per sandwich. While it’s hard to pick a favorite Mexican food for me, enchiladas come close. So cheesy, saucy, and rich! This recipe is a good attempt to reproduce them, and it definitely achieves a much lighter meal than the traditional, so I wasn’t weighed down after eating them. That said, in doing so, the depth of a true molé sauce is sacrificed and it’s still nearly as complicated to make. Adding dried pasilla or poblano peppers to the sauce ingredients might make the effort more worth it. It’s not clear in the ingredient list, but I think Johns uses 12-inch corn tortillas rather than the more standard 6-inch that you’ll find in the store–it took me an extra four tortillas to use up all the filling. Perhaps the best praise I can give this comfort food take is that I didn’t miss the cheese! 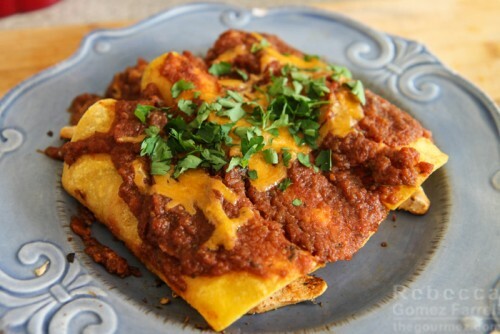 At only a cup of cheddar, the chicken fajita enchiladas use way less than is typical for this dish. Reduced cheese content didn’t fare as well for this one. 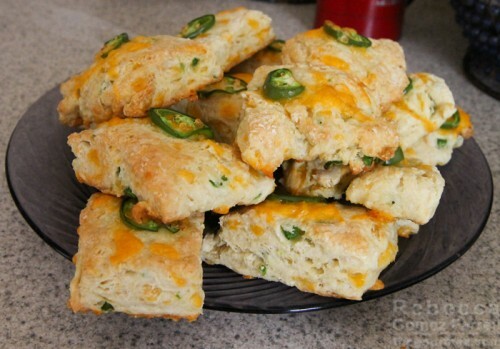 I love–LOVE–cheesy jalapeno bread in all its forms. So picking this recipe was a no-brainer for me. I’m not a great baker, so the detailed instructions were helpful, although I still managed to blend the batter a little longer than I should have despite the caution not to, making the final product chewier than intended. They are easy to make, though. The jalapeno heat level was good, though I wouldn’t complain about adding in more, and I really wouldn’t complain about adding a lot more cheese. A half a cup of cheddar for 16 scones was just not enough to satisfy. Yes, yes, I know this is a healthy eating cookbook, but I don’t think this comfort food take measured up. We happily ate them all, but my enjoyment would have been greater if I didn’t have the high expectation of all those cheesy jalapeno breads of the past. I picked one of her water infusion recipes to share with you, because I love fruit-flavored waters myself! Enjoy. Bored of plain flat water? Try adding some fruit! This water is one of my personal favorites. I like to make it at night before I go to bed. I awake to a delicious, full-flavored drink with abundant health and beauty benefits. Mangoes and citrus boost your metabolism, and they’re also known to help naturally smooth and tighten skin. Drink as much as you like — remember, you’re trying to drink a gallon of water a day, and this will make your goal deliciously possible to meet. 1. Peel and cut the mangoes into large chunks, reserving the pits. Divide the mango chunks between two large pitchers. Squeeze the excess juice off the pits and drop them in as well. Add the citrus slices and top with the ice, which will hold down the fruit. Pour in 1 gallon water. 2. Let the water infuse for at least 2 hours before serving or store overnight in your fridge. If you like your water at room temperature, let it infuse on the countertop, but be sure to add the ice to hold down the fruit, or use a fruit infusion pitcher, which will hold all the fruit down for you without the ice. NOTE: Check out my favorite fruit infusion water pitchers on my website, loseweightbyeating.com. The above photo and recipe was provided courtesy of William Morrow Cookbooks.